Renders of the LG G8 have surfaced online courtesy of 91mobiles and OnLeaks, revealing more about the upcoming flagship. The handset will reportedly feature a 6.1-inch display with a 19.5:9 aspect ratio and an iPhone X-like notch. This leak also suggests the phone will also sport a USB-C port and a 3.5mm headphone jack. Further, the rumour indicates the G8 will feature four cameras, two selfie shooters and two rear-facing cameras. Additionally, the handset is tipped to feature a fingerprint scanner on the rear and a dedicated Google Assistant button. Speculations suggest the G8 will use a Qualcomm Snapdragon 855 chipset, though there is a possibility the flagship could feature last year’s Snapdragon 845 processor. In 2017, the LG G6 used Qualcomm’s 2016 chipset, so it’s possible the G8 might also feature an older processor. It’s worth noting that OnLeaks’ information doesn’t corroborate previous LG-related rumours stemming from ETNews. 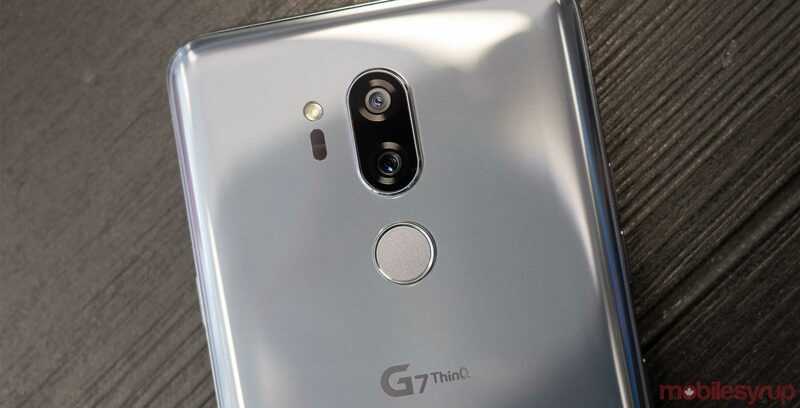 The South Korean publication suggested the G8 will sport a waterdrop notch as well as on-display speakers. Renders also suggest the phone will feature a number of external speakers. A rumour that surfaced earlier today indicated that LG’s upcoming G8 will launch alongside a modular secondary screen. However, 91mobiles suggests that readers should take that rumour with a “pinch of salt.” Reported codenames for the LG G8 are ‘Alpha’ and ‘Seal.’ However, it’s possible one of these nicknames refers to the dual display LG handset, and the other is for the standard G8. Just like with all rumours, it’s important to approach these G8 renders with an air of skepticism. LG will reportedly reveal the G8 along with a variety of other smartphones, at Mobile World Congress in February.